Build This Earth, Moon And Sun Orrery! 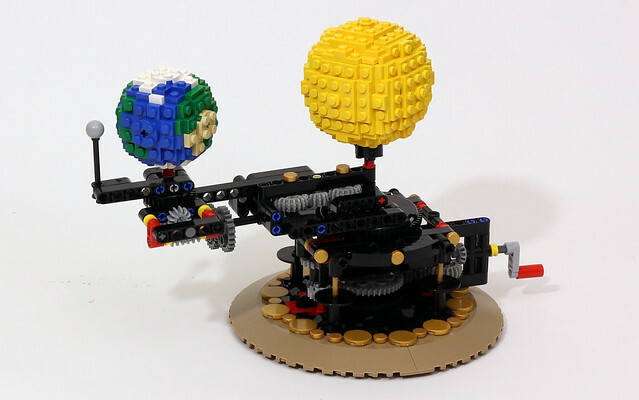 Mechanical mad genius JK Brickworks is back with another fun project, and something that everyone needs on their desk, an Orrery. I'd call it simple, because it just has the sun, earth and moon, but as you can see in the picture and video, it's far from it. It's also surprisingly accurate in rotation and orbit, having cycles that are really close to the actual celestial bodies. And with instructions generously shared by the builder, you can make your own!